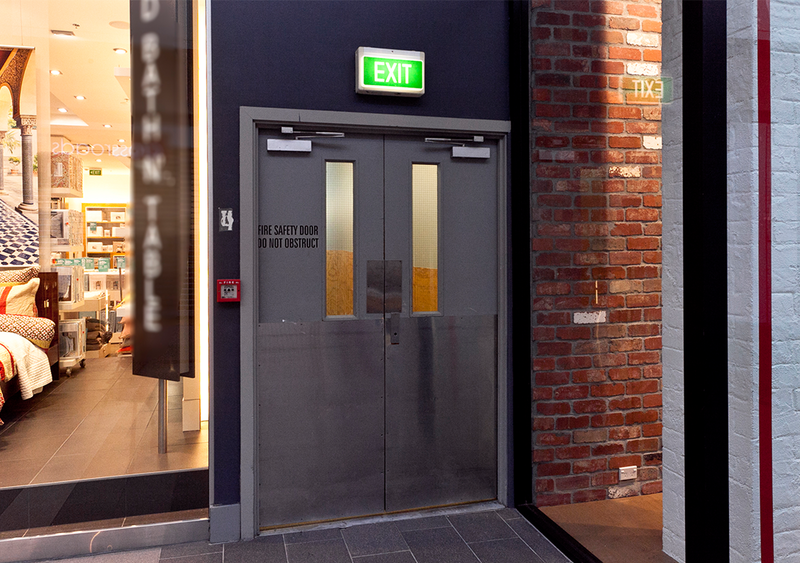 This emergency exits uses illuminated signage to direct users. 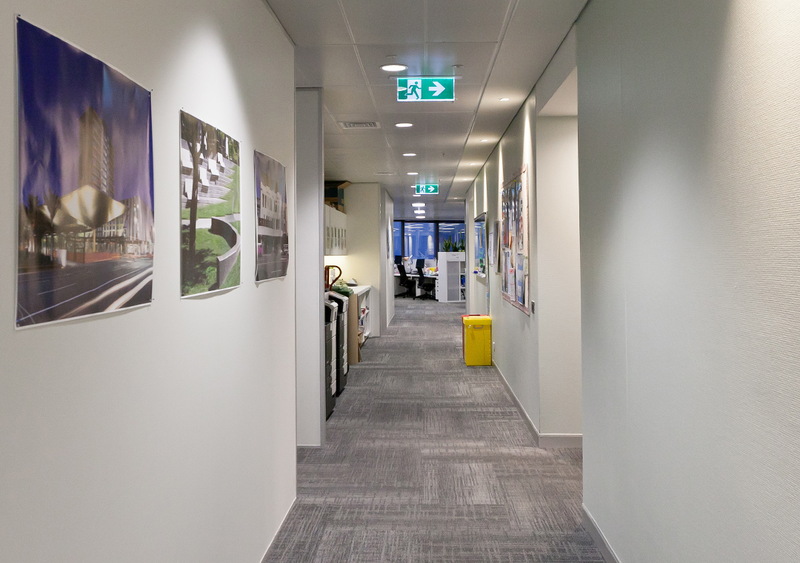 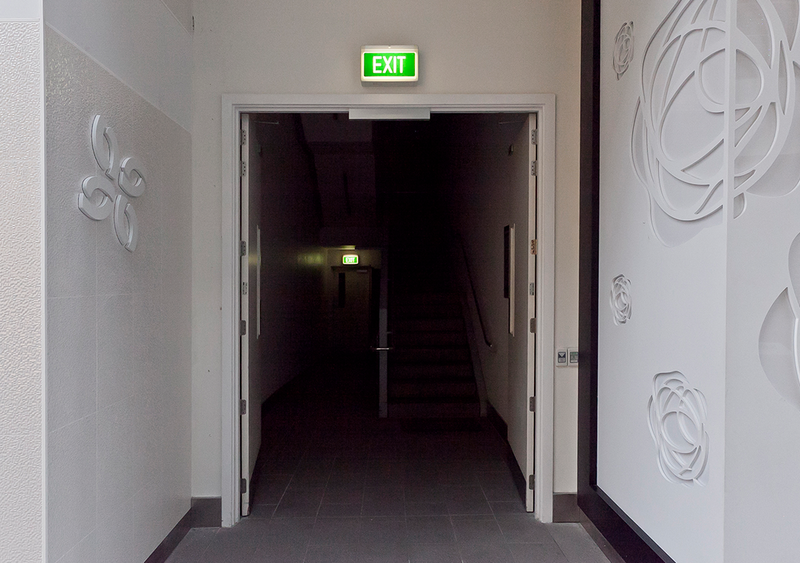 This building incorporates illuminated signage to direct users towards the exit in case of an emergency. 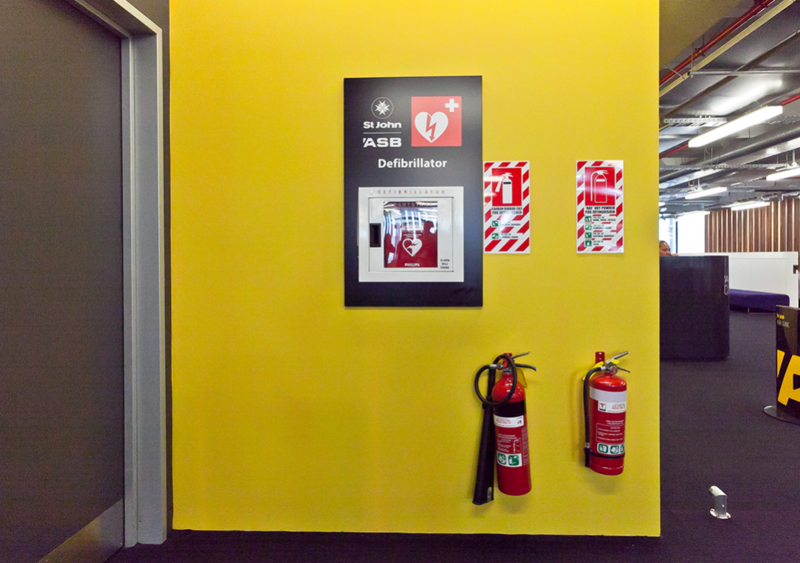 Ensure health & safety and fire equipment is located in an accessible location, preferably close to the emergency exit.